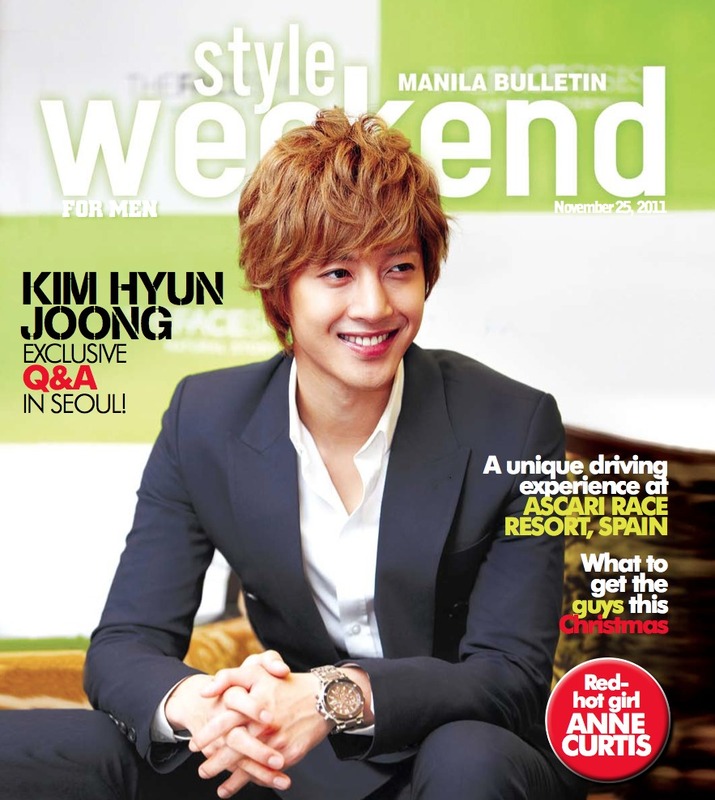 pls buy manila bulletin today (nov 25) for your free copy of style weekend for men (out every last friday of the month)! on the cover: the face shop celebrity endorser and k-pop phenomenon, kim hyun joong! don't hate me because i got to interview him one-on-one in seoul, korea! also in this issue: driving the yet-to-be-released BMW M5 at ascari race resort in spain; fragrances, skin care, and business accessories for men; red and green clothes & stuff; ancestral homes converted in restos; LV's architect & interiors book; and red-hot anne curtis in the centerfold!